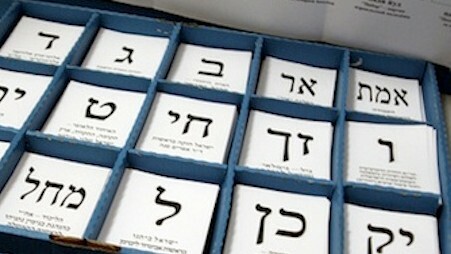 The bloc Prime Minister Binyamin Netanyahu’s Likud formed Israeli Beitenu polled a disappointing 31 seats (in the 120-member Knesset) in Tuesday, Jan. 22, general election, according to 99 percent count of ballots of exit polls Tuesday night. The big winner is a newcomer to Israeli politics, centrist ex-journalist Yair Lapid, with 19 seats, who managed to push Shelly Yacimovich’s veteran Labor party down to third place with only 15 seats. Jewish Home under its new leader, pro-settlement high-tech tycoon Naftali Bennett and ultra-religious Shas – 11 each, Tzipi Livni’s Hatenua, 6, level with Meretz, Kadima is fighting for 2. The left-of-center bloc along with the 11 Arab parties might make it to 60 seats if Yair Lapid opts to lead it. Final results are due Thursday morning. The election outcome seriously challenge Netanyahu’s chances of gathering a majority of 61 for forming a stable government coalition, the primary consideration for President Shimon Peres when assigning the task of prime minister to the leader who collects the most recommendations from fellow party leaders. debkafile: The paring down of the Likud-Beitenu bloc sharpens the horse-trading with potential coalition partiers, which started Tuesday night straight after the exit polls and increases the chances of a deadlock. Netanyahu was heard during the day to suggest that a new election may be unavoidable.